Apple has approved a retro-styled iOS game that tips players in real bitcoin, recently releasing it onto the iTunes store. The game, SaruTobi, lets users swing a monkey from a vine, building up momentum before releasing him to collect power-ups and bitcoin tokens as he frolics though the air. Moss says he was in the process of adding typical Super Mario-style coins into the game when it occurred to him to use bitcoin instead. “I thought it would be a nice way to introduce bitcoin to people who are not familiar with it yet,” he said. The iOS game has three main aims – attaining the greatest distance, collecting bitcoin tokens to be spent on in-app items, and collecting the letters ‘SARUTOBI’ to unlock a bitcoin ‘boost’ to spend on in-game items. After the user has played the game for a certain amount of time, the game will reward the user by sending them a bitcoin tip. Players can view how much bitcoin is currently in the pot and also donate to keep it topped up. The more bitcoin there is, the more players will be tipped. The main focus of the game is not to receive bitcoin tips, instead Moss considers them a way of rewarding players for using the game. Bitcoin is also perfect for international use, he said, calling it a “people’s currency”. He pointed out that a player in Africa should feel just as at home with the digital currency as a player in America or the UK. 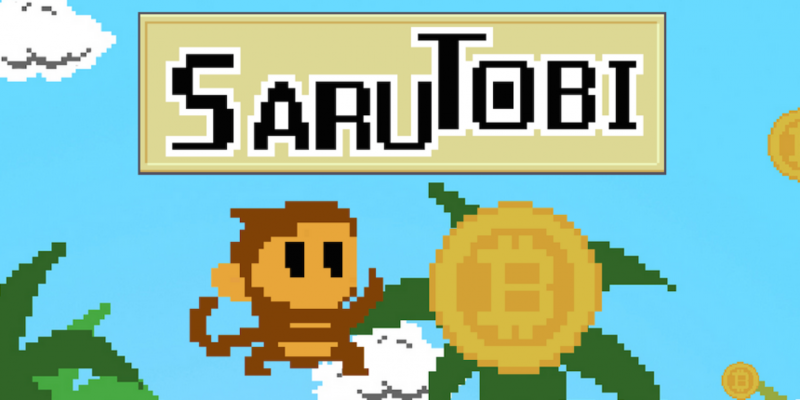 Like other bitcoin games, such as Coinding, SaruTobi uses micro-transactions to send small amounts of bitcoin. 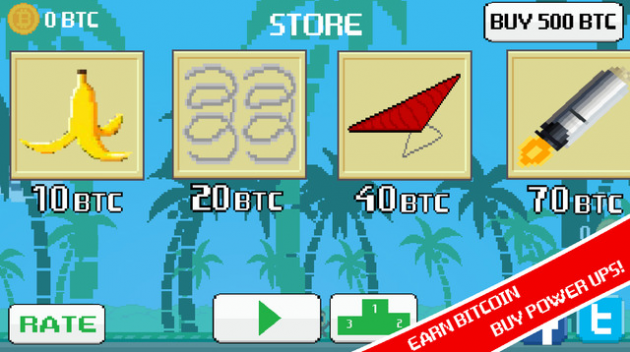 However, where most games generally want the user to spend bitcoin, SaruTobi rewards them with it. SaruTobi is now available on the iTunes store for free download.